From packing household items to shipping chairs and large furniture pieces, moving is never easy. However, it’s not the case if you hire a reliable moving company. At Fine Art Shippers, we can make any move a pleasure! The fact is that in addition to our artwork shipping and handling services, we also offer home moving services both nationally and internationally. Moreover, our team specializes in moving antique furniture, designer accessories, and luxury items of any kind so that your most precious possessions are guaranteed to arrive at the destination intact. Besides, whether it comes to shipping chairs or moving an entire estate, no job is too small or too big for our team, and we can handle any task quickly, efficiently, and at a reasonable price. Along with that, Fine Art Shippers is not the only moving company in NYC you can trust. 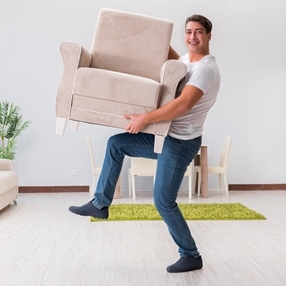 Let us tell you about Expo Movers, another great mover you can always rely on! Expo Movers is a full-service moving company serving the greater NYC area. Its major specialization is local residential and office relocations, though Expo Movers also offers long-distance moving services at affordable prices. Plus, this company is known for providing high-quality packing and storage services aimed at ensuring that every client is completely satisfied with the result of the move. In other words, Expo Movers is indeed a very good option for any relocation needs, from shipping chairs to your new office to moving your home to a new location. Highly recommended by Fine Art Shippers!